Everyone staying in on-campus housing must be officially registered with the conference as a Participant, Observer, Taiko Jam Performer, Vendor, Workshop Instructor, or staff member. For liability purposes, we are not permitted to have unaffiliated guests stay in the NATC block of rooms. Both single- and double-occupancy options are available. The maximum occupancy of each room is 2 people. Those purchasing a double-occupancy package must confirm their roommate before purchasing. All on-campus housing guests must check-in on Friday, August 9th and check-out on Sunday, August 11th by 10:00am. The Summer Housing and Conference Office can store luggage upon check-out. Extended stay options are not available. Regrettably minors (ages 17 and under) are not permitted to stay in on-campus housing. 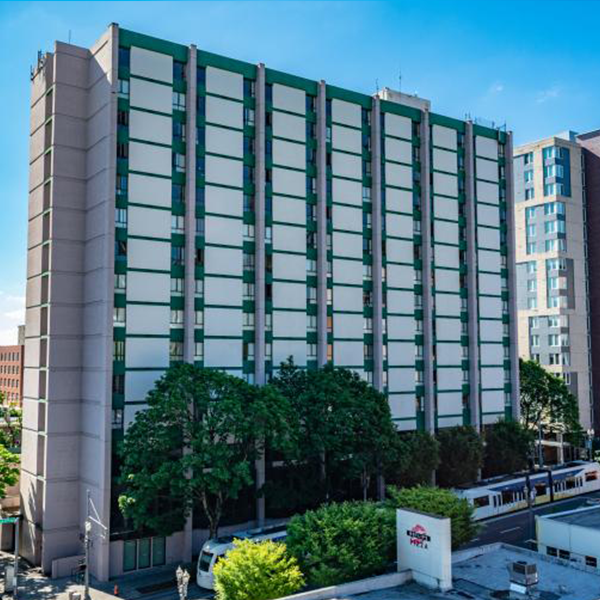 If you are registering and/or traveling with a minor, the University Place Hotel (noted below) is a recommended housing option. Meals in the dining hall are all-you-care-to-eat, buffet style. Please note that dining plans are only available to on-campus housing guests; there are no available meal plans for commuters. Basic linens are provided. Occupants must bring their own toiletries. 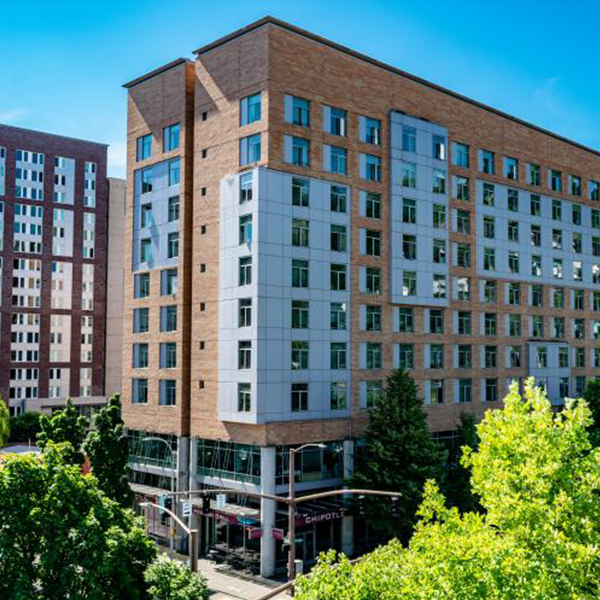 NATC has reserved a block of rooms with the University Place Hotel - a PSU affiliated hotel that is walking distance to the campus/NATC activities. Staying at the hotel is recommended for families traveling with minors. The negotiated NATC conference rate is $90/night for an economy room (2 double beds or 1 king bed) with breakfast included. These rates do not include 15.3% tax per night. An additional $10 per night will be charged for each guest above 2 guests in each room. Guests under 18 are not subject to the additional fee. There is a maximum capacity of 4 people to a room with 2 double beds, or 3 persons to a room with 1 king bed. 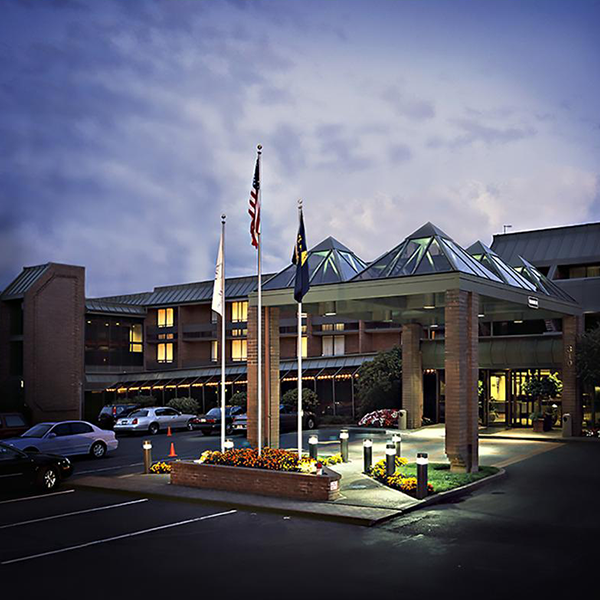 The NATC block of rooms at the hotel has been reserved from 8/9 to 8/11. The special NATC rates will be available for 2 days before and after that period. Reservations must be made directly with the hotel before June 9, 2019. Check-in time is 4PM. Check-out is 11AM. Please note that there are no dining plans available of off-campus attendees; attendees are responsible for their own meals. A list of planned meal break times is available in the Conference Schedule to help you plan.